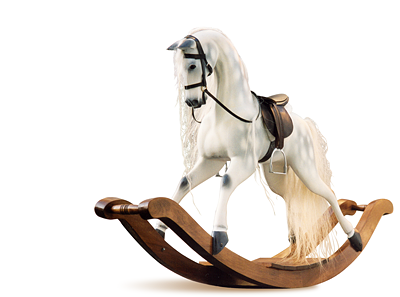 Finally, this is the very first rocking horse I got my hands on. She's a girl, definitely. Somebody has braided her mane. Look how she's keeping her head. Wants to be hugged. PS: No, these are no miniature horses! Each of them can be ridden safely by an adult being not too heavy.